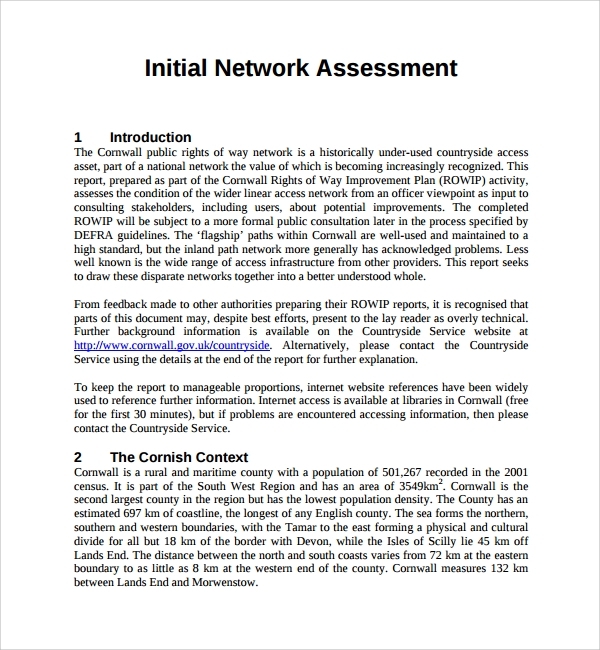 A network assessment template is used to study how the network is functioning, and if there are any upgrades needed in it, or some other changes needed. 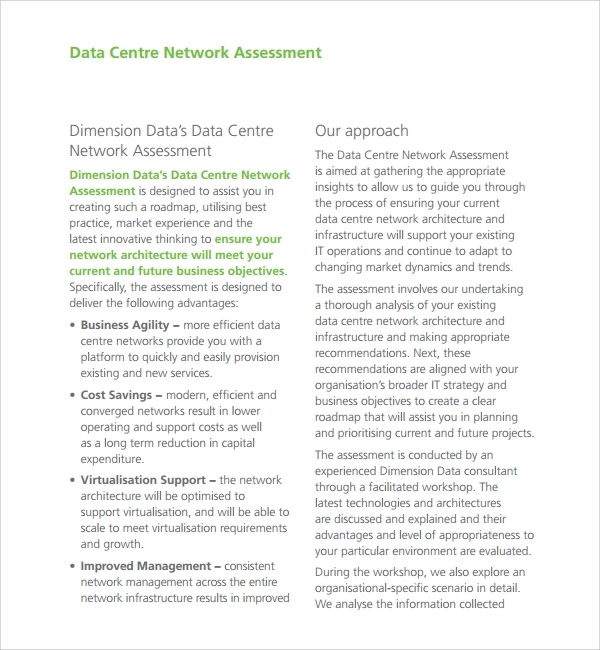 This Needs Assessment Template gives a clear picture of the working of the network, and you can verify from it several things, and determine some things about the network, as well as come to certain decisions about further workings with the network system. To make the assessment, you may have to go through various modules of test, and these are all documented in a network assessment template, so that your work of assessing gets easier, and you can save the precious time which you otherwise would have invested in framing the assessment. 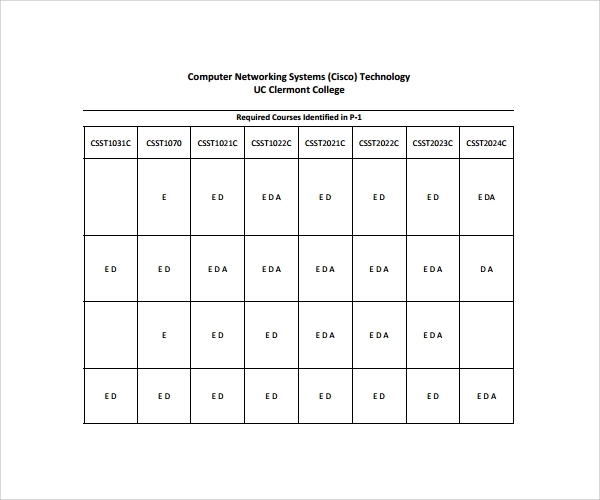 A computer network assessment is done to see that the network is performing well, and that all computers connected to the network are sending and receiving signals and data well. More things are counted in the assessment, and few levels of tests are done to see that the network is fully functional or not, and if there are faults in it. The whole process can be done easily with the related template. 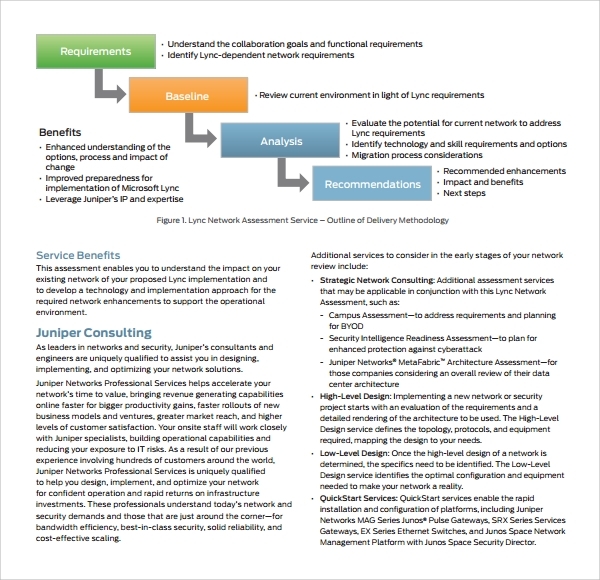 A telecom networks again has a different setting and there a different style and level of assessment is need. To complete this analysis, the templates are made which has all the key elements to be covered for the assessment. The specialized templates cover all universal computer network assessing points, and you can add your own points to it too. The checklist which determines that your assessment of the network is complete or not, and if you are missing some points etc, is actually a must in the process. If you are not accompanied with the checklist, you are bound to miss or mix some points, and create confusion during the assessment. The best way to avoid this is to use a checklist template. The assessment of networks is crucial, as the reliability on networks is now weakness of mankind. The working of the network needs to be checked from time to time to ensure that the network do not fail when needed the most, and work as desired all the time. 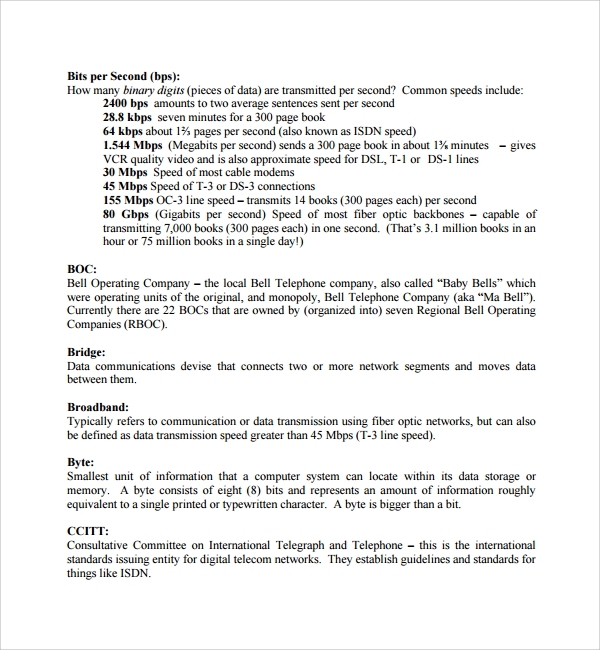 To make sure there are several ways of evaluation, and one organized way is to assess the network periodically. But network assessment is a big headache if you are not organized. Hence the role of templates gets quite important. Career Assessment Template give you a seamless easy way to organize the process when you need not think of the assessment steps, points, details etc. All you have to do is get one of the skillfully crafted templates from the internet and get started. 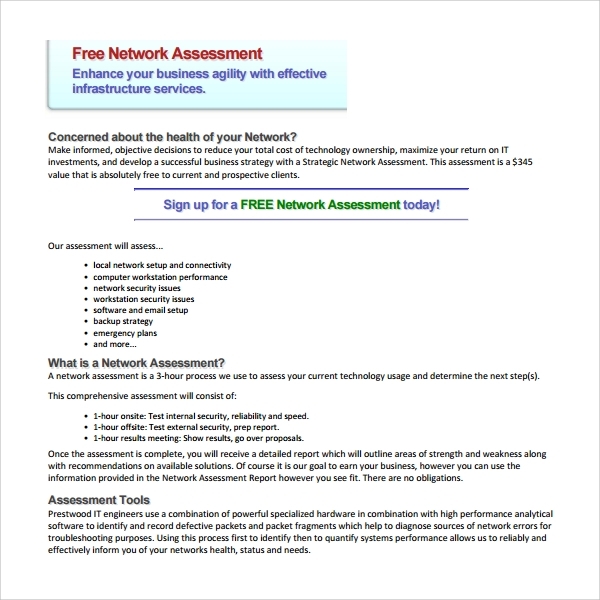 Assessment templates for networks are available easily when you search online. 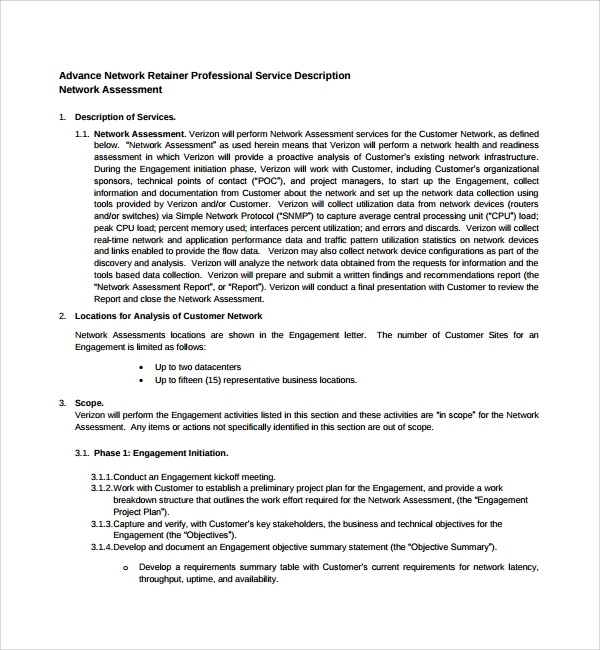 There are great resources online, where there are wonderful network assessment templates available, and they are crafted with much skill and precision, so that any point which small or big may miss out of your checklist will always be there. The universally suited templates are great way to make working easy and smooth, and you can save a lot of time and energy by getting the template for any network assessing work. Customization of templates, Training Needs Assessment Template is always possible if you add or remove a few procedures or points from it. 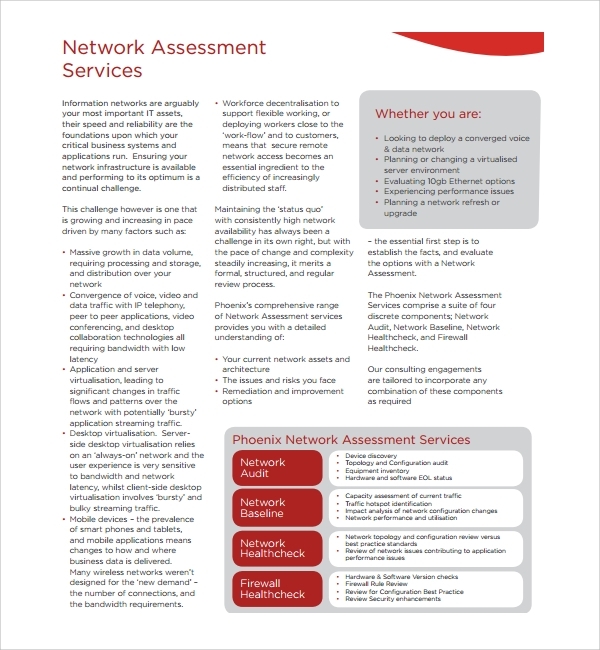 Network assessment is a vital part of running any network, and the connectivity between man to man and systems, which rely entirely on the success of the networks, should often be checked using assessments. To do this the templates offer a great relief, as you get every assessing point predetermined within the template.